The domain of outsourcing business-related activities has expanded exponentially in past decade. From business process outsourcing to outsourcing of staffing solutions companies have been offering outsourcing projects to specialized agencies in good volume. Recruitment agencies are one such specialized type of agencies that provide outsourcing of staffing solutions. Among these recruitment agencies, engineering recruitment agencies are the one that has attracted the most number of projects in the recent past. The expansion of Indian companies offshore and the need for technically able manpower in offshore and domestic firms has created a demand for engineering graduates. However, most of the engineering graduates have no idea about what type of job they can get based on their qualification and what are the opportunities for them. The low level of employability and hands-on skill are also a deterrent in the path of getting a job. On the other hand, companies require manpower that has attitude and aptitude of performing the task in hand. To bridge this link between employer’s need and employee’s desire for good job, engineering recruitment agencies comes in as a savior. Why do we need an Engineering recruitment agency? Well, the answer to this question can be pretty straight. From employer’s point of view the burden of screening, shortlisting, training, and recruiting gets transferred to a specialized agency and cost-effective solutions can be outsourced. 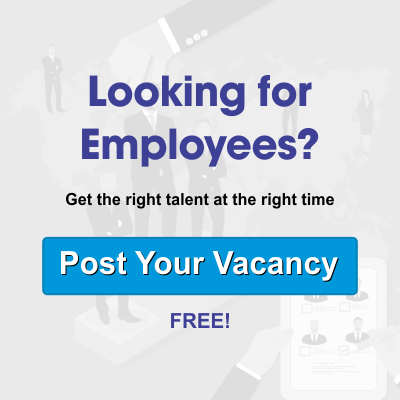 From job seekers point a recruitment agency provides a platform from where they can explore a number of career opportunities based on their skills-set and education both domestically and internationally. What to expect from Engineering recruitment agencies? Opportunity to choose from a large pool of talent and manpower. Recruitment as per your need i.e project basis or part-time. Training and nurturing the skill set of the workforce. Facility of staffing engineers in different disciplines of engineering domain. A plethora of opportunities can be explored. Assistance in getting a right start for your career. A wide network of recruiting agencies provides flexibility to the employee to choose employment as per his/her need. Choosing the best and renowned name in the business is the right choice while finalizing an engineering recruitment agency. Alliance International is one such agency that satisfies all those criteria that are required to be called the best in business. With a vast network and experience Alliance international has earned a name for itself by offering professional and effective services to its clients. Alliance has provided quality manpower to its clients that have contributed to the growth and success of the respective companies. A large global network of clients spread out in India and abroad. Dedicated and professional services at pocket-friendly prices. Vast experience in the domain of staffing requirement say, fixed term, contract or variable. Committed team to shortlist and scrutinize the candidates who can stand on the expectations of the client. Wide database of CV’s maintained by Alliance helps in finding the right solutions for your requirements. By offering these benefits Alliance International ensures that its commitment to deliver the best and its motto of satisfying its client, remains the top priority in its operation. You may have a number of options to choose from but making a final call requires someone reliable. Alliance International backed by its ability and experience offers just the right choice for your manpower staffing requirements.